Her Peaceful Garden: Birthday Card #2 - Beware: Alchemist at Work!! 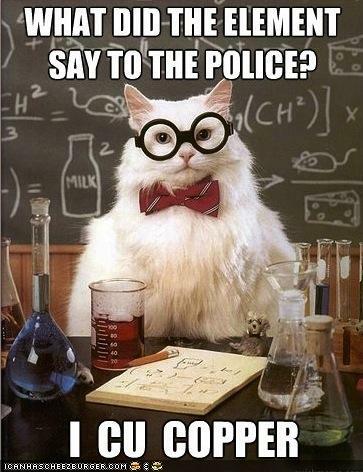 I can never resist a chemistry joke! "The way to get on with a cat is to treat it as an equal --- or even better, as the superior it knows itself to be." 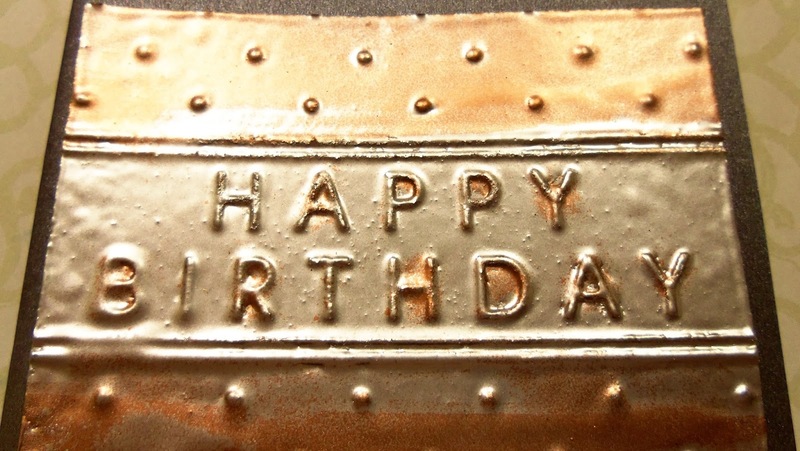 I'm here with #2 in my Birthday Card Marathon for the Simon Says Stamp Wednesday Challenge - Happy Birthday. Their Wednesday Challenge is 6 years old and they are giving away 6 prizes this week.....so after I finally remembered on Tuesday afternoon I got busy and made five cards....not without a few changes of plans and concepts! You might not realize this about me, but I am a science nut. I have long said that I'm a mad scientist and an alchemist at heart because I love mixing stuff together to see what happens!! Ha. I used to spend hours as a child mixing all manner of household items together. Fortunately, nothing dangerous ever occurred!!! Oh, did I digress??? Just wait till I am on Card #5!! So, with my natural curiosity, you can see why I LOVE embossing powders, right? This metallic card is a mad chemist's dream! 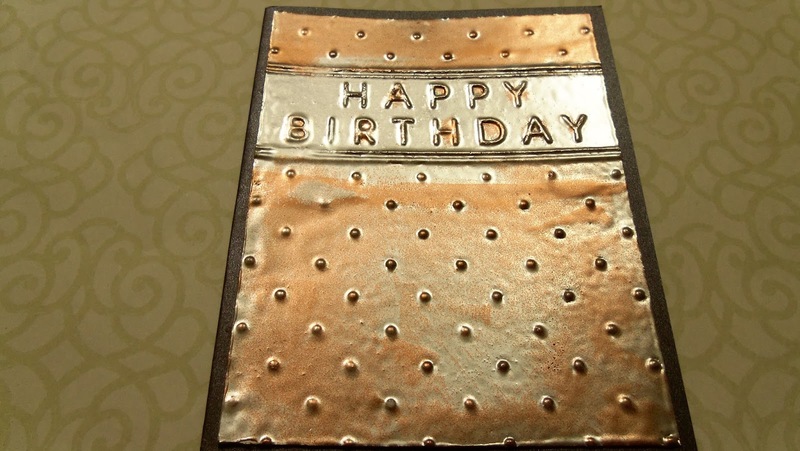 I dry embossed some heavy duty cardstock with my Darice Birthday with Dots folder and Versamarked all over it......smush, smush, smush....then I covered it with silver embossing powder and zapped away with my heat gun. I did that two or three times and then started adding copper powder, too. My inner crow....yes, my mad scientist has to move over to make room for the crow, too.....loves anything shiny and gleaming, so I love playing with metallic powders!! Oh, this was so much fun!!! I kept it completely unadorned to be suitable for a masculine card. I think the metal look is perfect for a guy. Okay....two cards posted. On to the next.... See you soon!!! 3. Design Memory Craft April 2015 Challenge - Creativity - I like getting creative with embossing powders! Very cool card and technique! Super fun idea! 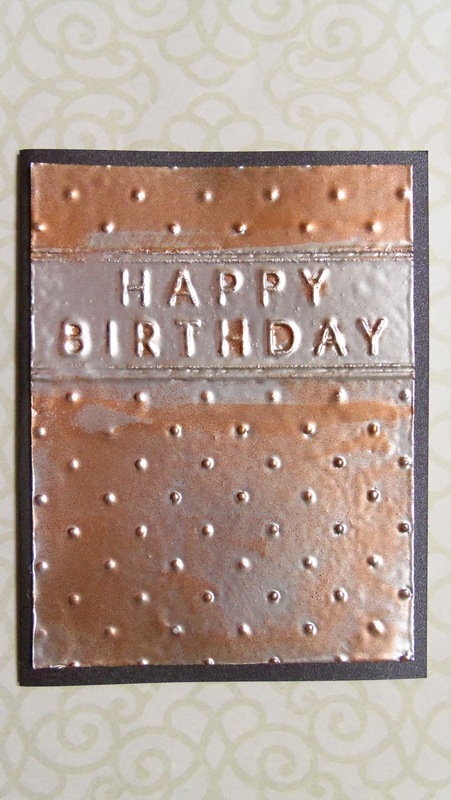 This looks like hammered metal and is perfect for a masculine card all right! Tim Holtz has nothing on you...haha! Wow - this really looks like a sheet of metal. I love the way the silver and copper have mixed. Super take on the challenge. Thanks so much for playing along with The Male Room!